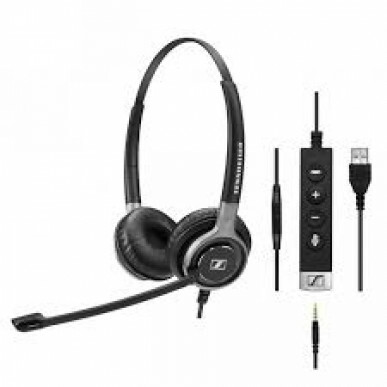 The Sennheiser SC 665 Duo USB and 3.5mm Corded headset aka 'The Century' is Sennheiser's premium USB & 3.5mm ultra noise cancelling (UNC) mono headset. 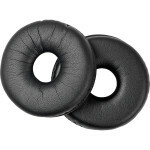 It's designed to be used with Computer, tablet and mobile phone that use a USB and 3.5mm jack . 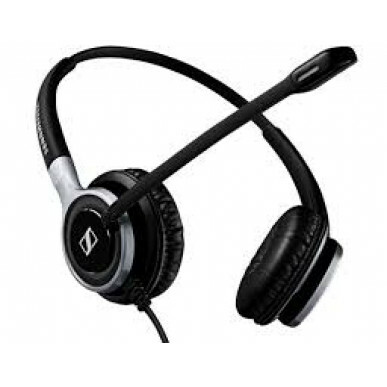 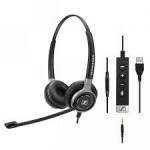 The SC665 headset has an over the head wearing style, with rotatable microphone for left or right hand side wear. 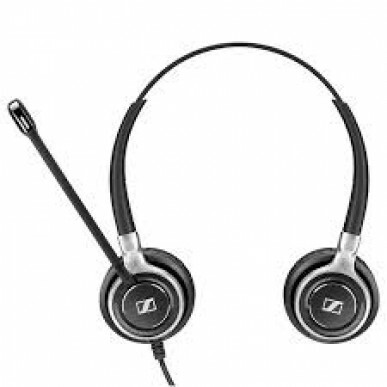 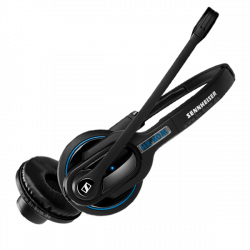 If you dont need the binaural (2 ear) then you could check out the Sennheiser SC 635 USB . 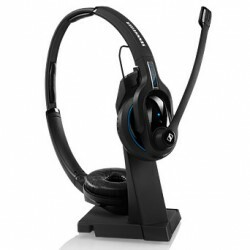 If you don’t need the ultra cancelling microphone or every bell & whistle, the SC 75 & SC 75 are both great value mid range options.